Today, I’m sharing something more personal or perhaps painful. My life with Endometriosis. I’ve been afflicted with Endometriosis before I was even diagnosed many years ago. Symptoms like painful periods (dysmenorrhea) and excessive bleeding (menorraghia) disrupted and sometimes crippled my normal daily living. 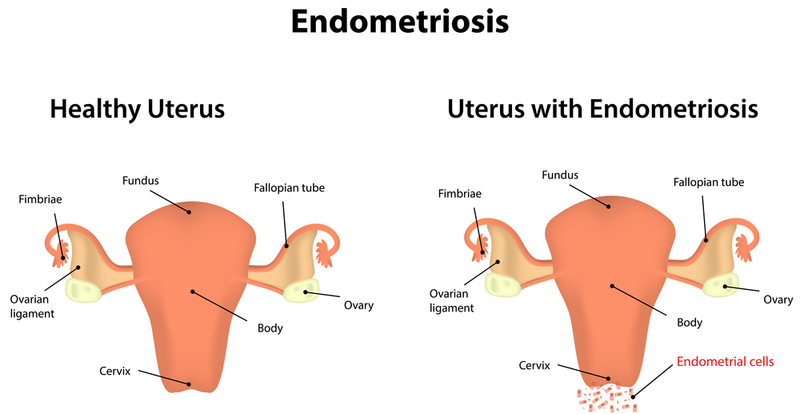 I’ve been afflicted with Endometriosis before I was even diagnosed many years ago. Whenever people asked me about my condition, most of them have no idea about it. They’re far more clueless here in the Philippines, where more “popular” diseases are given focus. And I’m hoping that sharing my story will help others and bring awareness to this incurable condition. Endometriosis affects one of ten women in the reproductive age or roughly 176 women million are affected around the world. It is considered incurable since there’s no specific cure available and it takes an average of 7 years to diagnose this condition accurately. The options available to manage discomfort is either to take hormonal therapy which I’m now having or surgically removed it (hysterectomy). Sometime ago, I underwent surgery and laparoscopy to removed some cysts and adhesions in my body. Biopsy revealed the cysts to be non-malignant and everything seemed to be a temporary ease. For about a year I was relieved of discomfort. But even before I thought I’m “Endometriosis-free” my menstrual pains hit again. This time coupled with headache, dizziness and weakness (malaise). Months of therapy, so far, pains feel bearable. Occasional headaches but I guess that’s due to my allergic rhinitis. I’m gaining weight, oh no! But I prefer this than excruciating pain, for sufferers like me this is much better. – for sufferers like me this is much better.